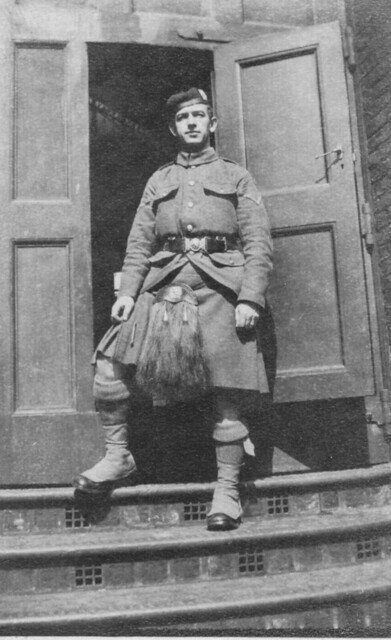 The 14th Battalion London Regiment (London Scottish) were an unusual battalion of the British Army before the Great War. 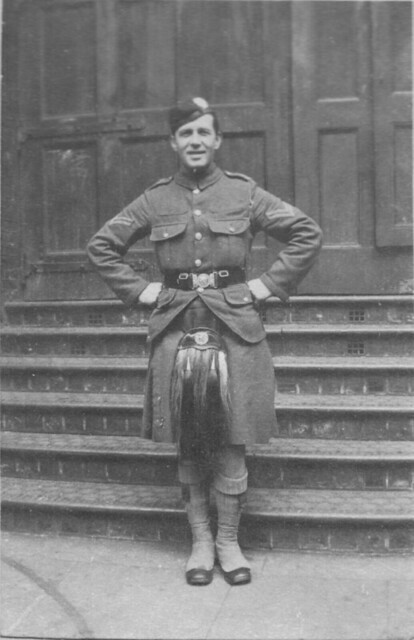 Formed from the Volunteers in 1908 as part of the Territorial Force, to join the unit a soldier had to be either Scottish, or of Scottish descent. He also had to pay a joining fee; the money being used for regimental funds. Before 1914 this fee was ten pounds, an enormous sum; it was done to ensure that the men who joined the rank and file of the regiment were from Middle Class families and not the back streets of London. It was a popular regiment and on the outbreak of war was almost a full establishment; unusual for Territorial battalions which were normally under-strength. It was also one of the best equipped; the regimental funds ensured that the London Jocks were the only battalion in the army with the latest Vickers Machine Guns for example. It marched to war in September 1914 and fought at Messines on Halloween 1914; becoming the first Territorial infantry battalion to see action in the Great War. 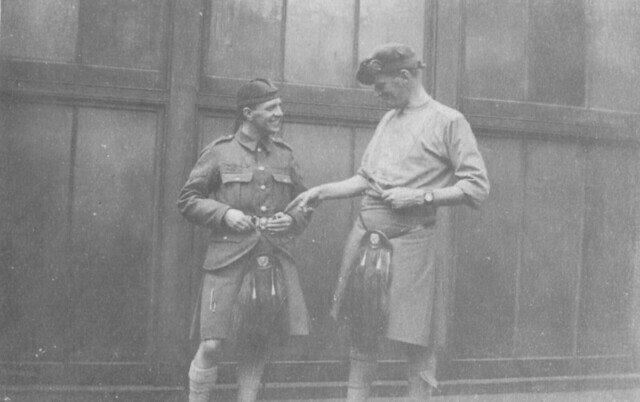 These photographs are from a small album belonging to a pre-war member of the regiment and were taken on the eve of war at the regimental headquarters, 59 Buckingham Gate in Westminster. This building had been used to house the Titanic Enquiry in 1912. These are informal photographs taken with a Kodak pocket camera and show the soldier whose album it was – later commissioned as many originals of the unit were – and some of his mates before they fought under the ‘Burning Mill of Messines‘ in October 1914. This entry was posted on 30/01/2012 by sommecourt. It was filed under BEF, British Army, Great War, Home Front, WW1 and was tagged with Buckingham Gate, Hodden Grey, London, London Scottish. 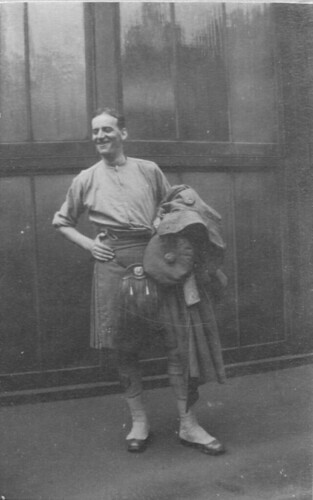 I have some photos of London Scottish during the Great War – my father’s great uncle was in the regiment. How do I let you have copies?